Today's workplace looks nothing as it did one or two decades ago. The modern organizations are far more technology-driven, leading to a different set of challenges for employers to keep their employees working efficiently and for employees to balance their professional and personal lives. As new trends emerge in the blink of an eye, the industry seeks more competent and proactive managers. While, the demand for such talents goes beyond the availability, business schools like Sindhi Institute of Management (SIM), Bangalore are using their years of experience in the higher education domain to prepare a horde of youngsters who can be the torchbearers of latest organizational practices. "The market is very specific now and the industry needs professionals who have in-depth knowledge of the latest practices to bring corrective measures for new developments," opines CMA. 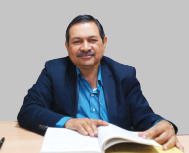 Prof. Gopinath D., Dean, Sindhi Institute of Management. Established in the year 1994 under the aegis of the Sindhi Seva Samiti, a philanthropic organization that runs several institutes of high repute, SIM is known for its academic excellence and undergraduate programs. Last year, the institute decided to take a leap considering the growing demand for postgraduate studies in business administration and introduced an MBA program designed by Mysore University. "This is the Second year of our MBA programand we have already seen a number of productive outcomes since our approach has been pragmatic," claims CMA. Prof. Gopinath. Although in its nascent stage, SIM's MBA program has gained its fair share of reputation through organizing a good number of activities such as workshops, guest lectures, expert talks, Value Added Programs and industrial visits at regular intervals. At SIM, the academic learning is complimented with an incredible number of value added programs. SIM offers certification programs such as IND AS, Digital Marketing, Business Analytics, French Language NSE's Certification in Financial Markets, NHRD Certification Program and Retail Certification Program for Finance, HR and Marketing students respectively. Students who aspire to be entrepreneurs can undertake the Entrepreneurship Development Program. Soft Skills Training Program, International Industrial Tour, Industry Institute Interaction Program, Assured training and placement activity are some of the important aspects of holistic learning in SIM. "We offer specialization in Financial Management, Marketing Management and Human Resource Management. This year we will start another PDGM program named 'PGDM at Sindhi Business School,' a full time course wherein every semester would include subjects such as Finance, HR, Quantitative Techniques and Analysis. .This will help the students to be well informed about their respective areas of interest when take up a career after their graduation," shares CMA. Prof. Gopinath. The industry also plays an important role in the SIM's curriculum formation. The institute has established tie-ups with a number of top-notch organizations that offer employability skills through training programs and help the students to become ready for the industry. SIM's MoU with Career Spin, a skill-training institute, offers all facets of soft skills such as analytical ability, language ability, public speaking, communication and analysis of various subjects through a 120 hours of pre-placement training. Collaborations with KPMG, I Nurture and other key players in the market have created a fertile field for students to gain and hone their knowledge and expertise. The PGDM Program will have twining arrangement with a foreign university so that the students can stay for some time in a foreign country, learn various aspects of the best practices in the industry and visit Industry in the foreign land. Being an institute with more than 22 years of service record, without much trouble SIM has managed to form a team of expert faculty members who bring wide-range of expertise on the board. Since 70 percent of the institute's faculty members carry doctorate degrees, the MBA students will find an intellectually fulfilling academic experience at SIM. "Each faculty member is personally involved in bringing any opportunity, which would benefit the learning and training of students in our institute," claims CMA. Prof. Gopinath. The institute maintains a faculty - student ratio of 1:15 and creates an ideal platform for student and faculty interactions. Today, SIM strives for an excellent educational support to aspiring students by working closely with its corporate partners and ensures that its programs are tailored to reflect global market trends. While, the business of teaching business is becoming highly competitive with every passing year, CMA. Prof. Gopinath is confident about the outcomes of the SIM's MBA and the PGDM programs. He assures that with his team he will create managers who can make better decisions in any uncertain time and build organizations that will survive and flourish under any conditions in the future. With 35 years of work experience in the field of Cost accounting and auditing, CMA. Prof. Gopinath intends to make students industry ready. He believes in working with a proactive attitude from day one to gain fast and fruitful outcomes.